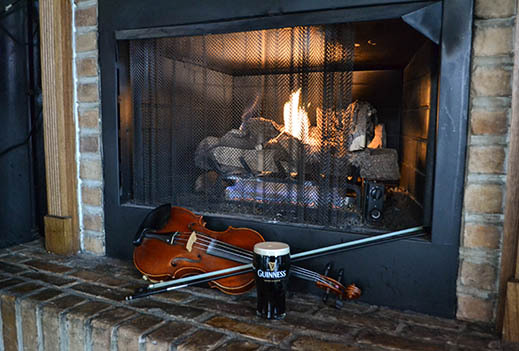 In the spirit of their heroes - The Clancy Brothers and Tommy Makem - The Chancey Brothers sing all your favorite Irish pub songs, ballads, and rebel tunes. Adding in favorites from almost every Irish artist you can think of (such as Christy Moore, Saw Doctors, Wolfe Tones, etc. ), the Chanceys are a lively act for any occasion. Regular performers at the finest Irish pubs throughout Chicagoland and the Midwest, the band makes fans and friends wherever they go. Featuring guitars, vocals, mandolin, fiddles, flute and whistle, The Chancey Brothers always liven up a party and if you are lucky they might even throw in a little rock and roll! The Chancey Brothers have been playing around Chicagoland since 2001. Starting with a shared love of the Irish pub songs, the Chanceys went out and began sharing that love with audiences in Irish pubs all over. Over time, they began adding other types of music to their repertoire - covering favorite rock and country songs and basically anything that the Brothers enjoyed playing themselves. While the core of their performances is still based on the Irish songs, the band can morph itself easily to embrace any party. They've played weddings, festivals, smokey dive bars, 90th birthday parties, block parties, anniversary parties - you name it! In true Irish fashion its all about laughter and song, and they've yet to find a party that they didn't enjoy! David Chancey - guitar and vocals - The older brother. David was always momma's favorite. He's the serious one, but find him a piano and he quickly becomes the human jukebox. David is the musician's musician in the band. Having studied music theory at Yale, Dave hit the road at a young age with his guitar and hitchhiked his way around. Stopping in LA for awhile, he unsuccessfully pursued a career as an extra in the movies, landing only a few small parts as an usher at the theater. But he did learn to coil microphone cables while he was there, so he headed back home where his various obsessive compulsive disorders drive the band and keep his eccentric brothers in line. 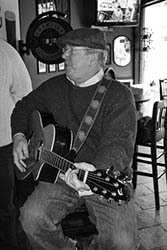 Bob Chancey - vocals, guitar, hesitant tambourine and other lame attempts at percussion - Bob has never met a microphone he didn't like. Bob is the epitome of an Irish-American - big, loud, and proud. 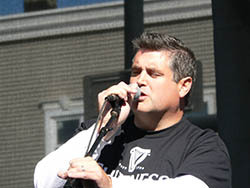 He carries his Irish passion on his sleeve and channels that passion into the traditional songs and ballads. Bob's singing and energy sets the pace for the band - and he can drive the van, too (although he now holds the band record for the most moving violations garnered while driving home from South Bend)! 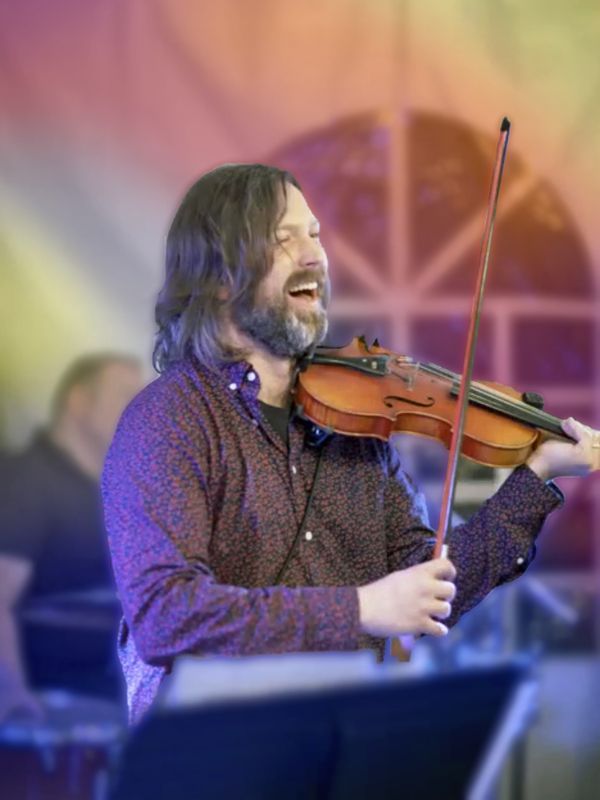 Geoff Chancey - fiddle, mandolin, guitar - Versatile and talented, Geoff joined the band just recently, after a clerical error was discovered at his birth hospital that mistakenly sent him home with the Charcey family from Australia. Raised in the outback, Geoff earned accolades at an early age for his prodigious musical gifts, as well as his prized collection of wild Tasmanian emus. Owing to an early desire to be a journalist, as a young man he moved to London and read numerous articles in the Times, The Guardian, The Daily Telegraph, The Independent, The Observer, The Sun, The Daily Mail and the prestigious London Evening Standard. But his passion for music eventually led him back to the States and The Old Town School of Folk Music where, after years of hard work, he learned to lose his accent. We're so happy the typo was corrected and he's back on stage with his brothers where he belongs. 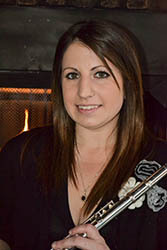 Kati Chancey - nope, she's not a brother, but our wonderfully talented young cousin who brings a beautiful voice, a dazzling flute, a gleaming whistle and a little class to this affair. A product of the Academy of Irish Music, Kati is well-versed in the traditional side of Irish music and has been playing music from a very young age. On the surface, a fragile flower but don't mess with her and, for god's ake, don't ask her about her tatoos or about the "lost years" (even the other band members don't know the whole story, but we think it might have involved a cabin in the woods and seven little men). Brendan Chancey - another young cousin. 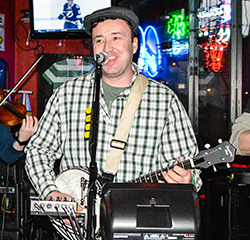 When not playing his fiddle and doing his part drinking for the entire band, Brendan spends his time saving lives as a Chicago Fireman. Before that, though, came Irish music. 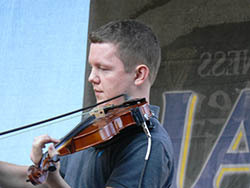 Another graduate of the Academy of Irish Music, Brendan comes from a family of musicians here and back in Ireland. A gifted fiddle player and another man who brings a passion to all things Irish - especially music, GAA football, and Guinness! Joel Chancey - banjo, mandolin, guitar, vocals - how many of you even knew we had a brother Joel? After many years of wandering the vast wastelands of the world searching for his true soul, spiritual epiphany, and new additions to his amazing beer can collection, we finally convinced him to come home and waste his time playing Irish music with the rest of the family. A quiet steady musical influence, Joel lends his considerable chops and versatility to each show as well as the occasional desire to bang out some 80's power pop songs. Brother Jeff - he's the youngest of the brothers and we just found out he could play the drums! Who knew??? Long lost brother, Mike - he started the band but left to try and pursue a solo career as a flamenco dancer. Wherever you are, Mike, we have a microphone ready for you! He comes, he goes and it's like he never left except when he leaves again. The Chancey-ettes - Meghan and Katie belting out "Son of a Preacher Man". 'Nuff said. Cousin Colette - Another amazing fiddle player from the Chancey family tree. Colette often fills in for her brother Brendan when he is too pooped to fiddle. Together the Chancey cousins bring some real Irish chops to the band. Cousin Catriona - another flute and whistle player and the youngest of our Chancey cousins. Catriona fills in for Kati on occassion and helps fill out the Chancey Orchestra at the major engagements. And don't forget the old man himself - always singing and teaching us the joy of music - thanks, Dad.